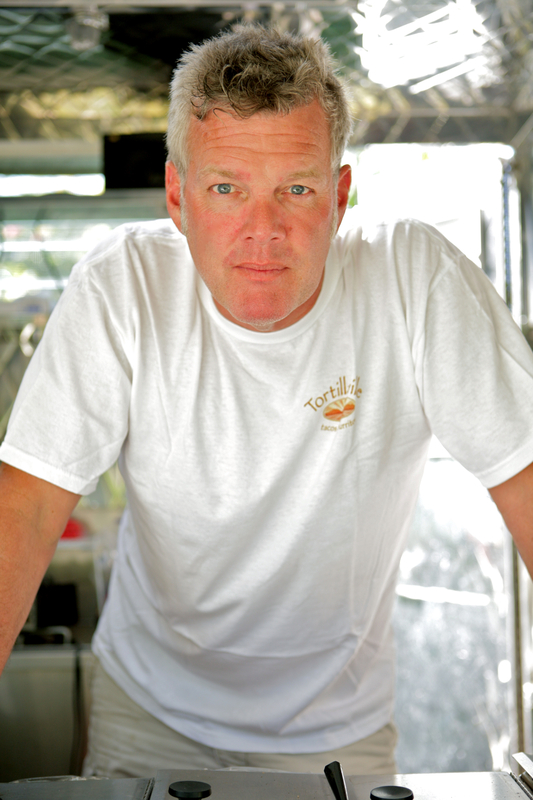 Hudson Valley based, Brian Branigan, was co-founder and co-owner of Hudson, NY based food truck, Tortillaville from 2009 to 2013. The food truck sold in 2013, but the Tortillaville brand; logo, name, art work, website, recipes, etc is still available for purchase. Brian and Allison partner at Hudson Design, a graphic, web and multimedia design business. Brian’s work history includes; art gallery owner, Olivia on Warren, freelance photographer / videographer / editor, multimedia lounge owner vOID, and freelance restaurant consultant. Brian enjoyed a twenty year career as a union film technician, (grip and camera crane operator) in NY and LA . He was an assistant instructor at the Hurricane Island Outward Bound School (sea program) ME and FL Keys 1986-1989. And, a Jones Beach ocean lifeguard on Long Island, NY 1976-1981. Brian majored in Film at New York Institute of Technology. He recently fulfilled a longtime goal of securing his USCG captain (master) license. Captain Brian now offers tours at www.hudsonriverguide.com and www.8palms.net. He spends Summer and Fall months in Catskill, NY, and Winter and Spring in Big Pine Key, FL. This book introduces Brian’s debut effort, published by Eat Words Publishing. It is the first comprehensive food truck book written by a food truck cook.